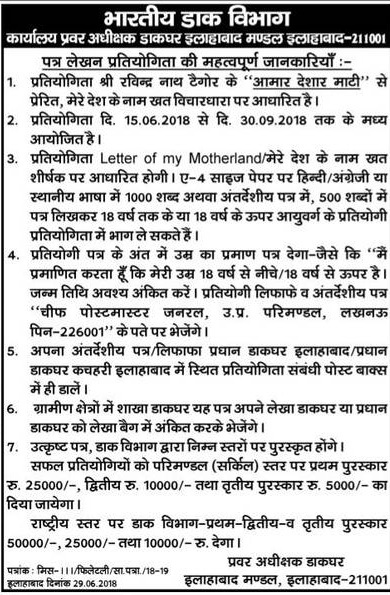 India Post Office Deen Dayal Sparsh Yojana Scholarship Scheme 2018:- Indian Postal Department recently launched the Philately Scholarship Scheme to those people who have hobbies to save imported Postal Tickets, Postage Stamp from old to new. The Scholarship supports applicant to make list of tickets as postage stamp collectors, they will rewarded with Cash Money with certificate. Every year Government of India published this Post Stamp Collector Awards scheme to encourage students in Philately. 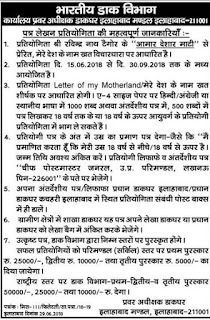 Deen Dayal Sparsh Yojana:- Department of Posts named its Deen Dayal Sparsh Yojana scholarship for promotion of Research in History of Indian Postal Ticket, Demand Drafts, Stamps and other important tickets that needs to be showcase. In every state with different name and award Post Office announced the competition prize for the postal ticket collection hobbyist. Philately Competition 2019:- In period of August time students/Hobby person are invited to attend or contact to revise the date Postal Department Scholarship scheme in Head Post Office/Divisional office to bring your passion before last date. Eligibility Criteria: - Students between classes 6th to class 12th are eligible to take part in competition. Rate of Scholarships: - The amount of scholarship per students is Rs 6,000 OR 500 Rupees per month. Main Motives: - Philately is product of Department of Posts that supports interest about philately among the students. Educational Qualification: - the students must have good academic record pf 60% marks in previous or current exam in CGPA equal or equal grade. Level Regional Level Philately quiz: - Postal Authority in first phase starts written exam to cross stage. Philately Project 2:- Selected students in the regional level will have to submit the project passed from above final selection. How to Apply: - Interested and eligibly students must check newspaper of your region. You can also contact nearest Head post office for more details. Document Required: - with application form one passport size photograph is required and sent them to destination of post master general.